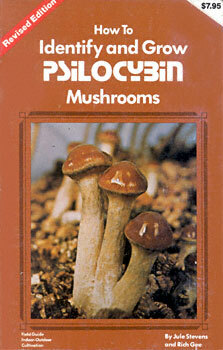 At last, a complete mushroom book written for the novice and connoisseur alike. Everything from identifying all psilocybin containing species to growing an incredible home crop is included. With over 30 color photographs, drawings and illustrations anyone can positively identify and cultivate the magical mushroom. "This easy-to-understand informative book is an excellent reference for anyone intereted in finding and growing the illusive magical mushroom."